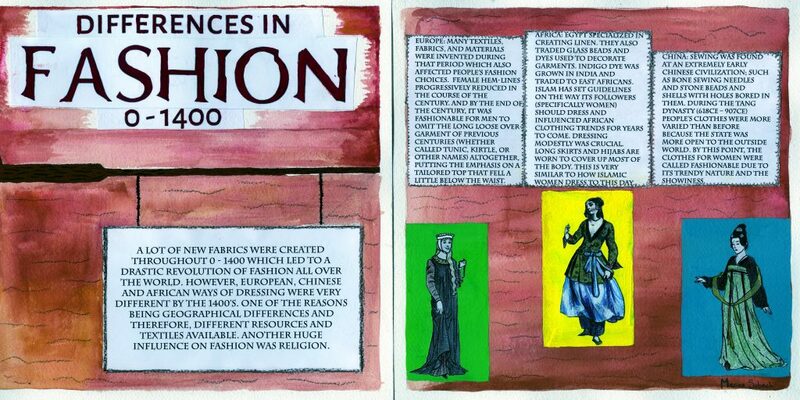 My task was to make a history book spread about art movements during the time period between 1905 and 1915. I chose to do my research on suprematism, Katrina did surrealism, and Joyce did the Harlem Renaissance. I decided to draw some symbolic illustrations to represent each category. I thought that the simple shapes and colours of suprematism would make a good and engaging border. I chose to put the title in the middle to draw the viewer’s attention to it. This is my artifact history spread. I was in the design group that week so I decided to do a spread on Jules Cheret’s posters because they had a huge impact on our culture and the world of design nowadays. I painted the poster by hand and hung it up on a (somewhat dirty) glass door. I had my camera set up on a tripod, and set it up to long shutter speed. I walked by the door to give the shot some blurry movement. 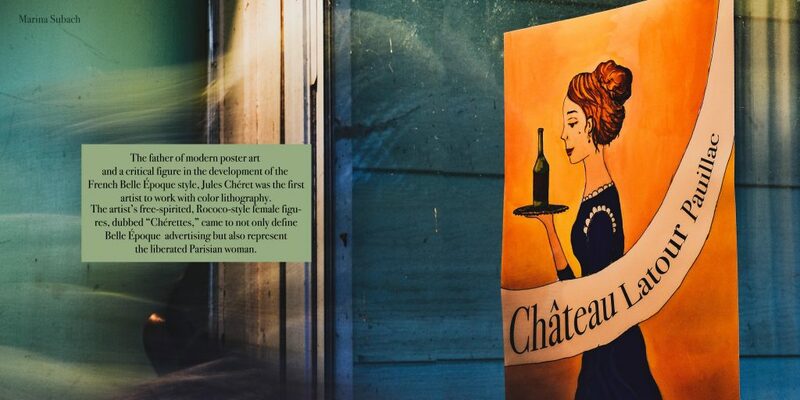 The poster took up most of the right page of the spread, so on the lift side, I typed out a couple of sentences, to sum up Jules Cheret’s impact. In this spread, I challenged myself to compare the fashion of three different parts/cultures of the world: Europe, Africa, and China. I’ve printed out pictures of some outfits and coloured them with pencils. The background is brown and plain so it doesn’t distract the viewer’s eye. I chose a serif font to give my spread an old-fashioned look. I used the same font for the description of the outfits, which I feel like I could’ve done a bit better since it can be hard to read. This project took me about 4 hours to complete, including brainstorming and coming up with my layout. The most challenging part for me was settling on one idea that I thought was the best. I decided to keep my yearbook spread organized and simple as that is what my personality is like. One thing I forgot to include was my five words that best describe me. They are: organized, active, creative, curious, and open-minded. Overall, I know i could have done a much better job if I had put more time into the project. I would give myself 7/10 because the self-portrait and the name could have been a lot neater.